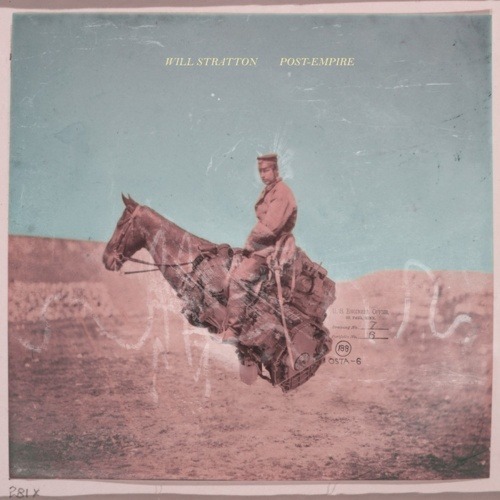 Someone in my network tweeted this album by Will Stratton and I tried to check it out. I like Post-Empire. Very rich cinematic, complex and atmospheric. We need to have more of him around to lift our sad spirits. His voice reminds me a bit of Don McLean. Engineered by Nicolas Vernhes at Rare Book Room, and by Will Stratton at his apartment in Red Hook, Brooklyn. Cover art by Jared Ragland. Field Recording on "You Divers" by Matthew Carefully. Will Stratton is an American songwriter, composer, and arranger. He was born in Yolo County, California, and started making up songs on the piano when he was three years old. Will spend most of his formative years in the suburbs of northern New Jersey. On his twelfth birthday, he got his first electric guitar, and in the decade since, music has owned him unconditionally. What The Night Said, Stratton’s first record as a solo artist, was recorded in the summer after his senior year of high school, at the invitation of the owner of a tiny but well-equipped recording studio in Astoria, Queens. It was quietly released two years later, in 2007, to scattered but unanimously positive reviews. When it came out, Stratton had become a student at Bennington College, writing academic music that attempted to emulate the spirit of New York School composers like Morton Feldman and postminimalists like David Lang. In the time that has lapsed since What The Night Said’s release, Will wrote dozens of works for chamber ensembles and solo piano, and released three free online albums of outtakes, demos, and instrumental music. In 2009, Will graduated from college and returned with his second album, No Wonder, a more ornate and ambitious record than its predecessor. No Wonder received little attention in the music press, but, despite its November release, its lack of distribution, and its virtually unknown creator, it appeared on some critics’ best-of-the-year lists, drew favorable comparisons to Fleetwood Mac, Nick Drake, and Loudon Wainwright, and received airplay from venerable WNYC radio show host David Garland. The album’s title track was featured as NPR’s “Song Of The Day” in March 2010. In the summer of 2010, Will went into the studio for a third time, this time without a recording budget, an engineer, or a record deal, and only for a single weekend. In 48 hours he came back with New Vanguard Blues, a spartan album that put his dexterous fingerstyle guitar playing front and center alongside his songwriting. New Vanguard Blues was released digitally two weeks later. Now Will works and lives near the waterfront in south Brooklyn, NY, plays shows and tours when he gets the chance, occasionally does arrangements for fun and profit, and works on a fourth record.